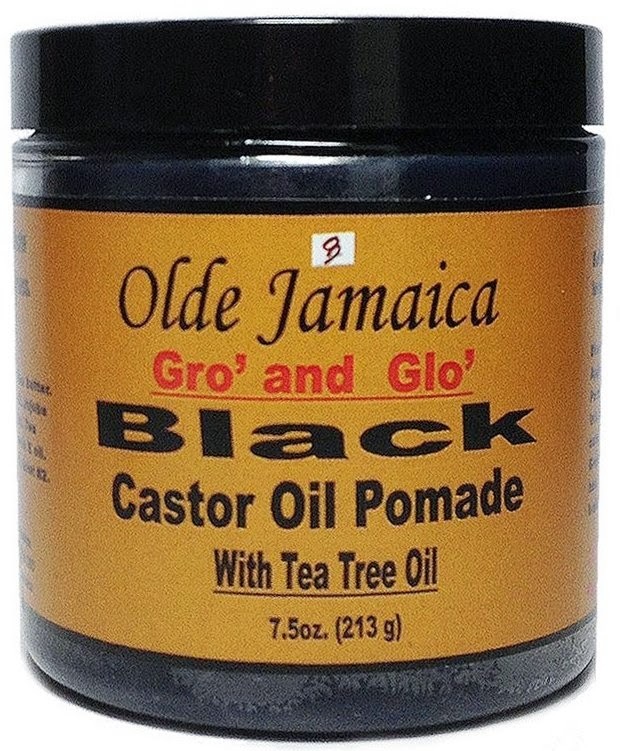 We thought we'd share some tips on how to use our Jamaican Black Castor Oil pomade. This product is basically a hair grease, which contains a proprietary blend of vegetable carrier oils and essential oils in a Pure Jamaican Black Castor Oil base. - The dark color of the grease acts as a camouflage for thinning hair, bald spots and gray hair, while promoting hair growth. For Natural & Transitioning Hair: Apply the Jamaican black castor oil pomade to scalp as necessary, and a small amount to your textured roots and edges to keep your hair smooth and silky. For Chemically Treated Hair: Apply a dime sized amount of the pomade to the scalp as often as necessary; however try to not to apply too much to the hair as it may weigh the hair down. For Hair Loss, Thinning or Damaged Hair: Apply the Jamaican black castor oil pomade (focusing on thinning areas) to help stimulate hair follicles and to help add fullness to the hair. Ingredients: Castor oil, Coconut oil, Olive oil, Beeswax, Carnuba Wax, Sunflower Seed oil, Sesame Oil, Wheat Germ oil, Shea Butter, Sweet Almond oil, Jojoba oil, Tea Tree oil, Hemp Seed oil extract, Rosemary seed extract, color, and Vitamin E oil. write more, that's all i have to say. you obviously know what you're talking about. keep it going.